Located between San Jacinto and Brazos on 4th Street, this 3 bedroom / 2 bathroom condo is fully furnished and ready for your next visit to downtown Austin, Texas. Situated one block from the Austin Convention Center, two blocks from the world famous 6th Street and the Warehouse District, and a handful of blocks from every other downtown attraction including hundreds of restaurants, movie theaters, bars, nightclubs, lounges, and live music venues, the location of the Mandarin Suite cannot be beat. The town lake walking/jogging trail is just a few blocks away, there is a yoga studio just across the street, Starbucks is 200 feet from the front door, and arrangements can be made for a temporary gym membership two blocks away during your visit, if desired. 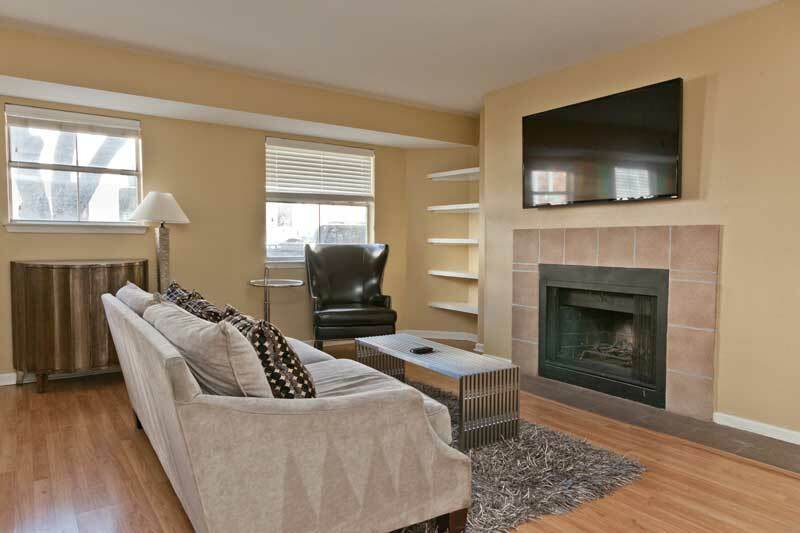 This 1,200 square foot Railyard condo features accommodations for up to 8 guests (three queen beds and an air mattress), central air and heat, a full sized stackable washer and dryer, a small covered patio, free cable television, free wireless internet access, wood burning fireplace, and plush furnishings. With granite counter tops, renovated kitchen and bathrooms, flat screen televisions mounted on the walls, and a fantastic stereo in the living room, every detail has been considered to make your stay a pleasant one. A wet bar comes stocked with glassware, a blender, and all of the bar tools you will need to fix your favorite cocktails while visiting. Just add liquor and mixers and you are all set. The closest liquor store is a block away. Perfect location, clean home, great amenities. All about a great property. Highly recommended. I stayed here with two co-workers for a business trip. The unit suited our needs perfectly. It had everything we needed: was very clean, had more than enough space, and was central to everywhere we needed to be downtown. Ryan was a fantastic host – attentive to our needs and very responsive. As others have mentioned, there was some noise outside the complex over night, but nothing too unreasonable – particularly given that you are staying so centrally in a downtown city area. All in all, could not have asked for more in our accommodations for this trip. We had a great time staying here for my cousin’s 30th birthday party. It was clean and spacious; perfect location for walking to restaurants and bars and to the river for a run. For the 7 of us, there was plenty of space and we weren’t crowded. There is definitely some street noise, but we weren’t bothered by it. Everyone was very accommodating and even helped us get an extra parking space. It was a great experience! Ryan’s accommodation was a great home base for our group. It was a very central location and there was plenty of room for our group of 9 women. This is a first floor unit, so at some points we felt a bit strange with so many passerbys on the sidewalk looking in, but we simply shut the blinds and it was no longer an issue. Had the weather been nicer, we would have loved to take a dip in the pool. Overall, a solid choice for a group setting! The apartment is awesome. Very comfortable and we’ll equipped. The personal service was very good, we had a couple of issues when we first arrived that were addressed immediately. The only thing we would add is more lighting, especially in the bedrooms. Being on the ground floor, we kept the shades drawn the whole time to ensure privacy. So more lighting and/or the privacy blinds would be an excellent addition. I would definitely rent this unit again. It wouldn’t even be possible for me to say all the good things I want to say about Ryan in 500 words or less. In short, Ryan Windsor is the single most hospitable, awesome, accommodating airbnb host imaginable. From the moment we booked the house, through the stay and even after, Ryan has been amazing. This was our second year staying in one of his properties, and it was so nice to see a welcome basket full of snacks and wine waiting for us when we walked in the door. Ryan is a go-to resource for all the fun things happening in Austin, and made himself incredibly available to us throughout the stay. When I called to ask him if the tap water was okay to drink, he let me know he was already on his way over to drop off a case of bottled water. I would highly recommend Ryan as a host, and any of his properties in Austin, for a warm, welcoming stay in a great city. My girlfriends and I really loved our experience in Austin! The apartment is located in a very central location – walking distance from everything. The team provided us with a space to leave our luggage since our room wasn’t ready yet and let us check out late since there wasn’t another party arriving on our last day. They were also very responsive when we had questions or problems throughout our stay. Overall, this was a wonderful, first airbnb experience for us all. I’d love to come back to visit Austin and use Ryan and the team to find a spot to stay! Was in town for a wedding that left little time to experience all that Austin has to offer, but the location of the house made this a perfect place to stay, especially for a larger group. Ryan and his team were also very detailed in their welcome information and provided us with everything we needed to feel right at home! Ryan was an excellent host who worked hard to ensure we had everything we needed. Very professional all around. We came for my sister’s bachelorette and the Mandarin Suite worked out perfectly. Everything was close by and Ryan’s guide was really helpful in planning our trip. Ryan was always available to answer any questions and even adjusted a last minute change in the number of guests attending. I would definitely recommend this condo to anyone visiting Austin. It was clean, spacious, and in the perfect location. Thanks for having us Ryan! It was a great experience. He had the whole clean and perfect when we got there. He was always answered his phone and resolved any issues we had. Basically, he was the perfect host! Highly satisfied and would recommend Ryan’s airbnb to a friend. The place was in great condition, and fully stocked with all the necessities. Most of all he was a great host, very accommodating and helpful with providing activity recommendations. The Mandarin Suite was awesome – perfect for our stay in Austin. It’s in a great location so it is easy to walk to many of the activities Austin has to offer. The description of the condo matched what we stayed in. The only issue we had during our stay was that the TVs were not working on there was no iPod player or anything in the house. I reached out to my contact during my stay, Jared, and while he was working to get the TV fixed, he brought us an iPod dock so that we could at least listen to music while we got ready to go out, etc. Great customer service! Overall would definitely recommend and would definitely come back. We had a wonderful stay at the Mandarin Suite – there were 4 of us and the apartment felt very spacious. It was clean and the description of the apartment was accurate. There was ample shampoo/conditioner, laundry detergent, dishwater soap, and towels. It can get a bit loud because the apartment is in a busy area. The living room and one bedroom face 4th street and the other two bedrooms have windows to the inside of the complex. Even though the HOA has a strict noise policy, some nights I was woken up by the other guests/tenants/owners being extremely loud. If you stay here, then remember that noise travels, so be respectful. I would highly recommend this apartment if you want to be close to the action – super close to 6th street and about a 10 minute walk to Rainey Street. Austin no longer has Lyft or Uber – we used RideAustin and Fare… Both have apps and operate just like Lyft/Uber – don’t forget to look for promo codes! Absolutely amazing space for a girls weekend getaway. There was 3 king size beds that was super comfortable. The host was always quick to respond and allowed us to check out late. Great place. Great location. Great value. This place is great. Very clean and walking distance to everything. There is some street traffic noise but we didn’t think it was that bad. We loved staying at “The Mandarin Suite!” The place was very clean, spacious, and perfect for our group of 5. Ryan was a great host, and easy to get in touch with. Being just walking distance from 6th street was a huge plus! Thank you for a great weekend getaway! We loved our stay in Austin and this Airbnb was the perfect place for us. Good sized place and perfect location as we did most of our exploring on foot. The keypad entry made life so easy as we didn’t need to juggle with keys, etc. The one downside of this rental is that it’s on the first floor facing 4th St. so it was a pretty loud night Saturday as people were finding their way home from a night out. However, I would definitely recommend this place and would stay here again if I ever find myself in Austin again. Great location especially for events at ACC. Lots of great food and drink in easy walking distance. Arrival was extremely easy and the description of the suite was spot on. We were able to come and go throughout the week during our convention with no issues and the electronic access made it nice since there were 4 of us coming and going at all different times. We loved the space and location was perfect! They made special accommodations for us and we appreciate the extra care! Great place to stay for walkability. Everything is within a 5 minute walk, perfect for exploring the city. My favorite part is how comfortable the beds were. Everything as expected. Clean tidy, and location was amazing. Can be a little noisy, but that comes with being in the heart of the action. If you are a really light sleeper it might be a challenge. I even had a little swim in the pool . Would totally stay again. Great location and comfortable apartment. Definitely no frills but everything you needed was provided. Heed the warnings on noise!!! The walls are paper thin and people walking in the street talking normally sound as if they are in your apartment. WE just used white noise apps on the phone and it worked fine. It worked well for our group and I would certainly recommend it to others. Thomas and Ryan are thorough hosts and made us feel completely prepared for the weekend. Fantastic condo in a perfect location! Ryan was a great host and communicated everything clearly. I would love to stay here again! Ryan was very responsive to communication and all of the arrangements were very well organized which made everything very easy. The place was clean and confortable. The central location made it easy to get to everything downtown. There was a variety of places to eat nearby including some that were open late. This is really a much better option for groups of people to stay together than staying in se-a rate hotel rooms. I had a great stay at Ryan’s place. It was clean and conveniently located. The notes on how to enter the building, park, connect to wi-fi, and the surrounding area were great. I would definitely stay here again. Very spacious place extremely well located! I will absolutely stay back at this rental next time I am back in Austin! The home was clean and in the center of Austin. We were a close walk to restaurants. The kids were more comfortable and had more space than at a hotel. The noise on the weekend is to be expected because it is right near 6th St. The house was great. It was right in the middle of everything and was a perfect home base. The pool was relaxing during the day and we met a bunch of fun people that were staying there as well. I would highly recommend this spot to anyone that is looking to have a good time in Austin! Location could not be more perfect for a weekend in Austin! Was within walking distance to everything, and still felt very safe and secure. Apt is cozy and clean and was the perfect layout for our girls weekend (5 of us). Pool area was a nice added touch. Similar to others feedback, it was noisy, especially over a weekend, so bring your ear plugs or a white noise app on your phone. We were in town about 30 minutes early so appreciated the host’s flexibility to let us drop our bags off while they finished cleaning. Overall very pleased and would recommend to others and if I make it back there, would stay again! Great place! Clean, comfortable and close to everything! Just be prepared for a little night time noise, since it’s in the heart of downtown. Ryan’s condo was in the perfect location. The bedrooms were especially nice. And Ryan’s team was very helpful! Our stay was great, The property manager was very responsive and assisted us in all our questions. The home was well stocked and the welcome info very thorough. As others have mentioned the walls are thin but it didn’t bother us much. So much available within walking proximity, it was great. We had a good stay at Ryan’s place. The place was clean and in order. Thanks Ryan, our stay was great! The place was clean, cozy, just what we wanted. The street noise can be loud at times so bring your earplugs if you’re a light sleeper. Ryan was a dream to work with. He had great suggestions on the local neighbourhood. I’d definitely stay here again. Our group really enjoyed staying at the Mandarin Suite. It was very homey and relaxing. We only had one issue, our clicker to get in and out of parking wasn’t working. We weren’t driving around a lot, but every time we needed out of the gate we had to inconvenience a resident or another renter. We ended up using a parking garage a few blocks away our second night to avoid the hassle. Besides that, we really enjoyed our stay and would definitely do it again if we had a big group in town. Great place in a great location. Checking in was super efficient (electronic code for building gate and unit door). Unit was clean and beds were comfortable. Only possible downside was the noise — until was on the ground floor and there was a lot of street noise (mostly drunk people) and interior building courtyard noise (mostly drunk people). But we did stay there Friday and Saturday nights, so maybe that’s to be expected in downtown Austin! This was a fantastic place in the perfect location. Everything was as described and coming and going was a breeze (nice to be keyless!). Communication with the host was excellent and there was never a need to meet – though that would have been welcome. I would definitely recommend this place and look forward to staying here again. The listing is exactly as described…what a prime location especially during SXSW, literally a few blocks from the convention center and all the action. Ryan was such an incredible host, constantly in contact and following up, even with boxes needing to be shipped in. He was incredibly accommodating to our teams early arrival. I did, however, wake up to a leak in the master bathroom, but within 20 mins of notifying him he had someone there to take a look and it was patched up and cleaned within a few hours. Thanks for a seamless experience! We rented this beautiful apartment for a weekend bachelorette party in Austin. It was extremely convenient for the downtown bar scene and was within walking distance of some great restaurants. We really enjoyed staying here. It was fantastic for a party of 6 ladies. Ryan was very helpful in accommodating our early arrival and had someone come out when we couldn’t get one of the showers to work. The place is nice with a fantastic location to walk around the city. Ryan asked if we needed any recommendations of places to go out too. Be aware that it is on the first floor right next to the sidewalk. The windows/walls are pretty thin so the street and courtyard can be very loud late at night (until ~4AM) if you are a light sleeper. Ear plugs worked for me but some of my friends were not pleased with the bachelorette party staying next door. I traveled to Austin for a conference with 4 colleagues. Ryan’s accommodations were on point with what we needed. Multiple rooms/beds, kitchen, proximity to the conference center and local eateries. While we were not purely in town for “fun”, Ryan’s place was very walkable to all the bars and even the river/trails. I would definitely consider traveling to Austin again and working with Ryan! The apartment is in a great location, within walking distance to all downtown attractions, and with some great restaurants and even a little urban grocery store right around the corner. So it was very convenient! It was also very nice – it felt like an upscale apartment with nice furnishings and linens. Ryan was very available to help us deal with several questions we had along the way – a very responsive and accommodating host! One caution I would make, as it says on the listing the pictures are not up to date. We thought one of our friends might sleep on the couch, but it is not the one pictured here, and it was not really very conducive to sleeping. But having 2 king beds and 1 queen bed made the accommodations very comfortable anyway. Thank you for hosting and answering our questions! Ryan was great!! He even brought us over a bottle opener in the middle of the day 🙂 Was a great host, and the place was bigger than we had imagined! Thanks!! This is a nice apartment. When we booked the listing, it had a queen air mattress listed as the fourth bed. Since then, the listing has been updated to twin air mattresses. As a result, we arrived to a queen air mattress and only twin sheets. The owner corrected this after sleeping with twin sheets on a queen air mattress for one night. The only downside of this apartment is its proximity to the road. You’re on the first floor on 4th Street, so you hear everyone walking past. This was particularly bad on busy weekend nights. Ryan was quick to answer any questions and happy to assist in any way. Great location in a vibrant part of time. Listing was exactly as described. Ryan was accommodating of our needs and we had a great stay. The suite was very spacious and was in a perfect location. We could walk to everything just as described. There was plenty of room and then some for two couples. It was really easy to get in and out with the key codes. Ryan was extremely responsive – we had a problem with the heat not turning on and then again when someone took our assigned parking space, and he immediately took care of everything. The only downside was, as mentioned, noise really echoes inside the courtyard. Using earplugs was a necessity to be able to sleep. Was a great stay in Austin. Exactly what a group of 4 people were after. Perfect location for heading out, and really lovely for thanksgiving. Would definitely recommend to anyone looking for a stay in Austin. Nice place with all the basics, such as linen and shampoo provided. We had definately a good stay. Note you may experience some loudness on Fri and Sat night because this appartment is located at the ground floor. Beautiful place, perfect location right in the heart of downtown, and Ryan was an extremely friendly, helpful, and accessible host. Wonderful experience all around – thank you! We did actually make it to Austin because all flights were grounded. Second year with Ryan… he and his team communicated well prior to the visit and made sure the unit was well prepped. GREAT location, clean unit and comprehensive amenities made for a great stay. Ryan and his team were great. Quick response time and a fountain of information. I appreciated the extensive instructions for the location, codes, parking and specifics of the unit. They also gave recommendations for where to eat, shop, hear live music and many outdoor activities. The unit is exactly as described. You are in the heart of the city so expect traffic, people walking by and noise from the “hall” across the street. The unit was clean and the beds were amazingly comfortable. The dining room chairs need to be replaced and there should be seating for at least 6 in the living room. Overall the location is excellent and the unit is centrally located for everything you might wish to do in downtown Austin. Take a yoga class across the street and sample a fruit smoothie after. Bliss! The Mandarin Suite was a very nice airbnb. Thomas the manager was available and responded to our questions and concerns fast. The suite itself was great and was supplied with anemities. The location was great and close to everything (6th street and Rainey). If visiting Austin again will def pick this spot! We had a lovely stay at one of Ryan’s apartments while in town for SXSWEco. We were ultimately offered a different place with an extra bed, so this review isn’t for the listed apartment. But the place was clean, comfortable and funky 🙂 And of course, absolutely perfect if you’re attending a conference at the convention center, which is literally 20 feet away! Ryan was a wonderful host and immediately responsive to any issues or questions we had. He offered great recommendations for the area. Location of condo was perfect, right in the middle of everything. Beds were very comfortable. We were very happy with our stay. We stayed at The Mandarin and it was great! Everything was well-kept and clean, it was walking distance to EVERYTHING and even came stocked with some frozen pizza rolls (which would’ve come in handy if we found them earlier). Highly recommend Ryan and his place! Ryan send us a very detailed email with information on the unit as well as the neighborhood and things to do, which was extremely helpful. He was responsive to our questions and the unit was what we expected. We had 3 couples and the sleeping arrangements worked out fine. The unit is a little small and seating in the living room was not enough for us all but we did not spend a lot of time in the unit. Also the unit is on the ground floor facing out to 4th street which can be loud. Ryan and his partner Thomas did a great job. The place was clean and you were made very welcome with a card in each bedroom. Having a time crunch booking the place Ryan responded very quickly. When we needed to have a late checkout they were very accommodating. 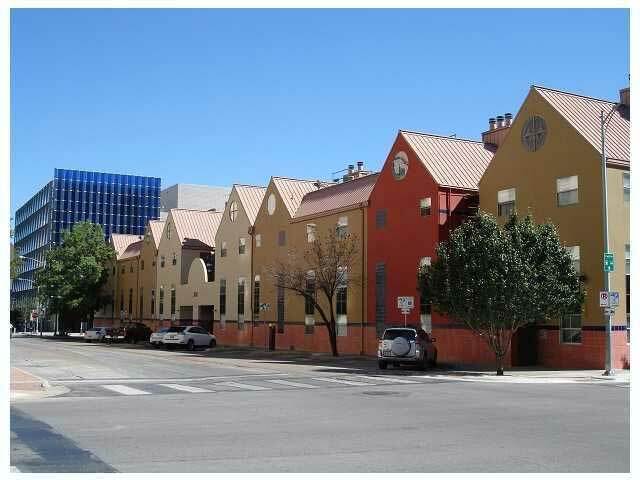 The place is very close to 6th street and around a ton of restaurants. The description of this place was spot on. Location and accommodations were amazing. The apartment was clean upon arrival and it fit all our needs. Perfect spot for a bachelor party. Everything about the unit was in line with the description and prior reviews. Great location, other than the noise factor on the ground floor, nice unit, no issues with check in or out. I’d recommend it to anyone looking to be in the middle of everything and not concerned about the resulting noise. Great experience and lovely home! Only complaint was the noise outside the complex, but it wasn’t bad enough to ruin our time in any way. Walking distance to 6th street (The Dirty), but kind of far from East 6th Street. Great place to stay and very convenient! Ryan was a breeze to book with and answered my questions quickly. The check in / house instructions are very thorough and made check in and travel to and from the airport extremely easy. The location of the suite is great, central to downtown and accessible by transit. The trip was for work related travel and it was great to have such an easy check in process as we arrived very late. If we travel to Austin in the future, we’ll absolutely book with Ryan again! Ryan was a very attentive and respectful host. Though we did not meet in person, he was very quick in responding to any questions I had and was very accommodating in letting us check in early and leave late. Five girls shared this space for a long weekend vacation and it was great. The location is a lot of fun and there’s tons of stuff right by the apartment. It is loud as it’s on a main street and on the ground level, but we expected that. If you’re a light sleeper then bring some ear plugs. The beds were comfortable and there was plenty of room for unpacking since it doesn’t look like anyone lives here full time. The Mandarin Suite was exactly as described, and Ryan was very thorough in describing the amenities of the place. We also had a great breakdown of fun things to do in Austin, and would definitely stay with Ryan again! Host was very easy to work with. Gave all necessary information in a prompt and efficient manner. The unit was clean and satisfactory, however it was very noisy throughout the night and early morning and the bedding was not very comfortable. We stayed at the Mandarin Suite this past weekend for my sisters bachelorette party. Everyone absolutely loved the apartment and you really can’t beat the location! There were so many great restaurants and fun things to do within walking distance. The first day we were there, we had an issue with the shower curtain rod in the master bathroom. I contacted Onyx Hotels and they replied to me super quickly and made sure that I was able to contact them and get someone to come fix it if we couldn’t figure it out. The apartment was great and definitely made everyone feel comfortable over the whole weekend. Thanks for making my sisters bachelorette that much better! The listing description was accurate, and we had no problem finding an accessing the unit. All amenities were as described, and the location was ideal: close to the 2nd street district and to the 6th street bars. The property manager promptly took care of little things that came up, like missing light bulbs. We found the beds / mattresses to be not very comfortable, and being on the first floor meant a good deal of noise from other residents in the building coming home late on Friday & Saturday night. Nevertheless, we had a good experience, and would stay here again. Thanks, Ryan! Great place to stay for a group. 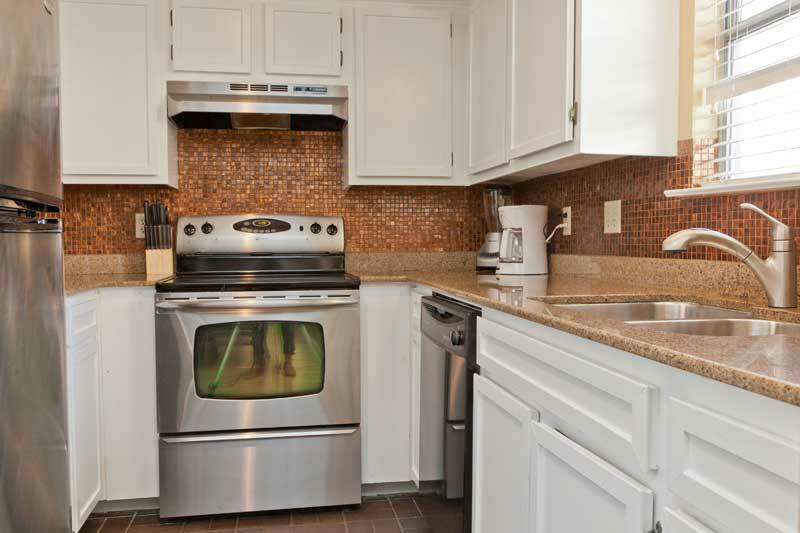 Close walking distance to all of the main Austin sites and easy keyless entrance made it convenient for a group. Thoroughly enjoyed our stay at the Railyard during the Austin Film Festival. Location was ideal. Apartment was comfortable. And Ryan was a dependable, reliable host. Had a wonderful time at this place. Very clean, in a great location, and very spacious. Easy communication with host. Looking forward to renting this place again for my next Austin vacation. Thank you! 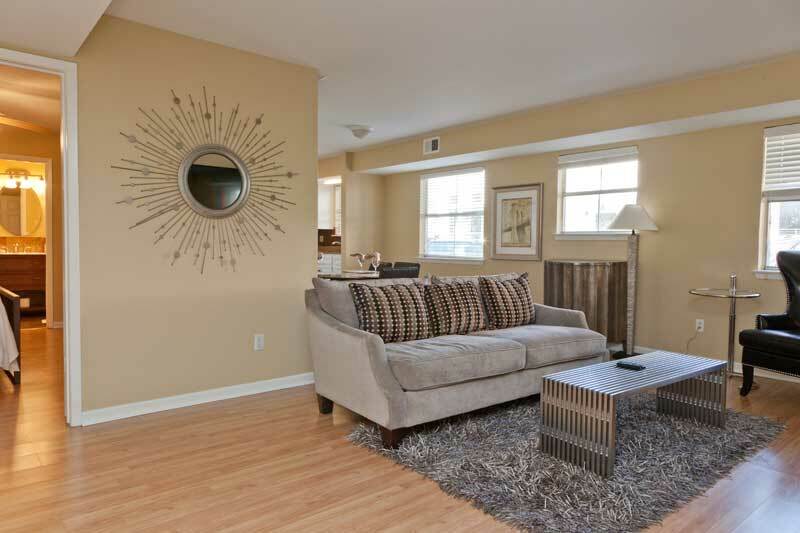 Great location, and great unit! Very conveniently located near 6th street and lots of dining, as well as a short $7 uber ride to Rainey Street. 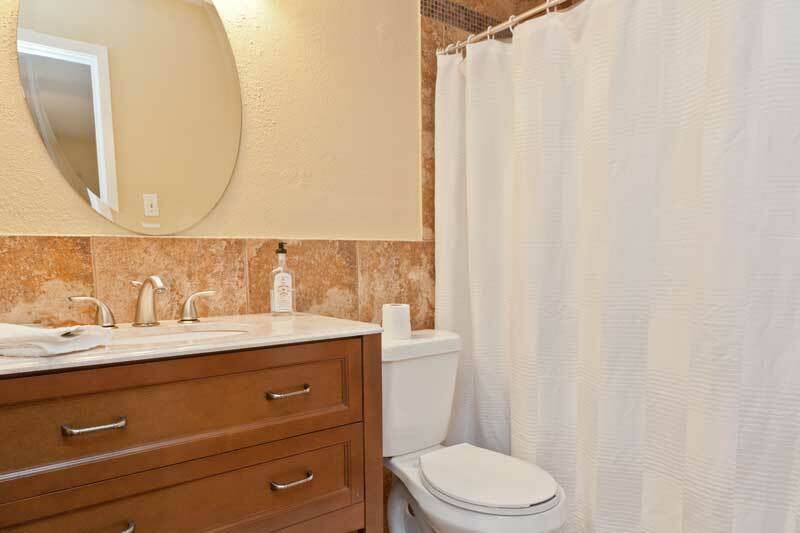 Clean unit with lots of towels, and super comfortable. The only con would be that the one room facing the street can get a little loud late at night from the noise on the street, so may not be ideal for families with small children. Other than that, highly recommend! Would definitely stay here again! Ryan made us feel very welcome at The Mandarin Suite. He was professional, thorough, informative, and accommodating! The space was as pictured, beautiful, with all of the commodities that we could have needed (dining ware, coffee, towels, spare pillows and blankets, etc.). The location was by far the best for what we were there for (a bachelorette weekend of 7 girls); we walked to restaurants and bars easily, being just blocks from the warehouse district and 6th street. The grocery store around the corner was convenient as well, and the parking space was a definite plus. We all loved it, and I would definitely consider staying at this space again for future large group weekend getaways for fun! The street noise is pretty loud though on the ground floor, which is kind of expected right downtown. We didn’t mind –sleep was not on the agenda for the weekend! Overall, I would highly recommend The Mandarin Suite. We had a great time there! Great place, great location, great communication, very spacious, and easy to get in and out no problems! Thanks Ryan! We had a great time! The condo is beautiful and in a perfect location for celebrating downtown and on Rainey Street. It was perfect for our girls’ weekend. Ryan was great and completely responsive and helpful. The condo was completely stocked with everything we needed. Thanks, Ryan! The host (Ryan) and the manager (Thomas) were both extremely responsive and efficient. The location is close to everything in downtown Austin and it was easy to walk to where we wanted to go. The condo was spacious and clean, with room for all 3 of us to spread out. This place was exactly what our group of 5 adults were expecting. 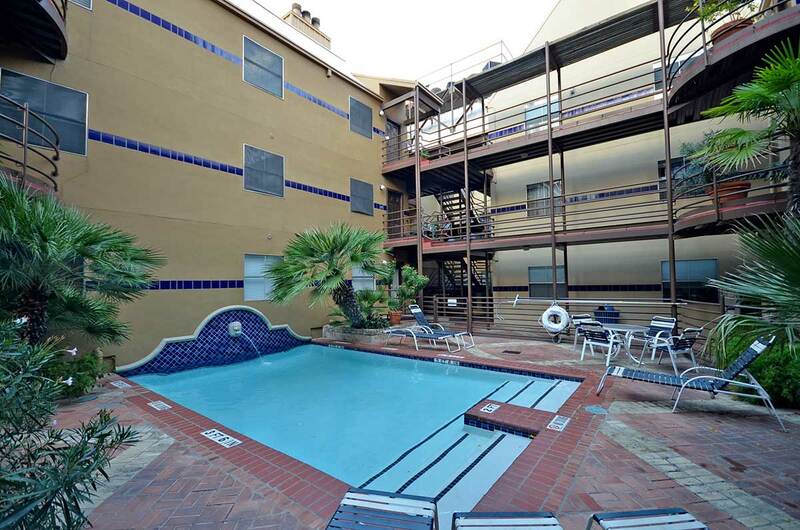 It’s comfortable, clean, and convenient to all the fun in downtown Austin. Also, Ryan was a great host, and very responsive on a Saturday night when we needed some help. I definitely recommend it. The location was very close to the bar scene, and easy to get to from the airport by bus. The condo is clean and spacious with big comfy beds. Ryan was very easy to communicate with. He even helped out with suggestions on things to do during our stay. We needed to check in early and check out late, and Ryan was very accommodating. As always, we enjoyed our stay at the Railyard Oasis. Ryan’s properties are always welcoming and provide the perfect setting for both business and leisure travel. This location puts you right in the heard of downtown Austin and will never disappoint you when looking to find a close local hangout. This condo was awesome! Ryan was an amazing host! He was kind enough to come to help us find the garage opener and when he came upon our balloons (among other decorations) he just had a good laugh and allowed us to carry on with our evening. I would definitely recommend the location- it was perfect! Over all Austin was a fantastic trip and whenever I make it back, I will certainly try to stay here again. Ryan’s place was a dream for a girl’s weekend in Austin. The 6 of us felt really comfortable in the spacious condo and the 2 bathrooms were the cherry on top. There were plenty of towels, dinnerware for all of us. The condo is ideally situated; walkable to the bridge for sunset/bat watching, to bars on 6th, good restaurants from upscale to casual, to the CVS and grocery store for essentials, and to coffee shops. Ryan was very accommodating in letting us check-in early and the keyless entry was helpful so each of us could come and go as we please. We would not hesitate to stay at this place again. Thanks for everything! My girlfriends and I stayed at this apartment for a weekend trip to Austin. It is perfect for a group since there is a lot more space than you would get with a hotel room (or even two). Perfect location for a quick walk to the 6th street bars, 2nd street shopping, restaurants, Town Lake trail, South Congress strip, etc. We even walked to campus for a concert although that took about 20 minutes. The pool is small but nice and relaxing – just keep in mind that it is in a courtyard so you don’t get sun at all hours. Ryan was responsive and accommodating to our late check out. Would stay here again in a heartbeat! My colleagues and I stayed in the Mandarin Suite for a work conference, and it was clean and spacious for 3 adults. It was a great location in downtown Austin, and we enjoyed exploring second street, 6th street and walking to south of congress. Also really close to the running path along the river. The kitchen was stocked nicely which made it easy to eat breakfast there before going to the conference. All in all a great experience! Great stay. The room was great and everything was perfect! Staying at Ryan’s Mandarin Suite was nothing short of perfect. Was my/our groups first AirBnb experience and definitely exceeded expectations. The condo is very spacious and was a very great place to stay with a group rather than a 200 sq ft hotel room. The 3BRs including the living room allow for some “personal” space wihich is rare when traveling with a group. The location is ideal for those looking to be downtown, with short walks to the river, many food options, and plenty of Austin night life. We did have a car, but did not need to use it . Ryan overall is a very good host, didn’t meet him but he provides very detailed instructions making for a easy check in/out and stay. During the stay he was also very responsive to messages with questions and or concerns. Would highly recommend this place and definitely would look to stay here or one of Ryan’s other places if/when returning to Austin. We came for a girls getaway weekend and the apartment could not have been more perfect. The location is superb, we were easily able to walk all around the city and there are plenty of places to eat, shop, etc within a stones throw of the apt. Also, having a Marriott across the street made it so simple to get cabs to the airport. The apartment is well decorated and clean, will definitely return! Great apartment in a great location. The apartment was very comfortable and clean. Ryan was very helpful. He suggested several places to go eat, how and when to go. Highly recommend this apartment. A few friends and I stayed there over a long weekend and the apartment was even better than we expected. It was clean, modern, comfortable and spacious. We were easily able to get a later check-out time too which we really appreciated. The location was great and we loved being right in the middle of all the fun in downtown Austin. The only drawback that might bother some people is that since it’s a ground floor unit, there was a little more noise from the street. It didn’t bother us because we felt like the price, the location and the niceness of the apartment made up for the extra noise – but it is worth mentioning. Overall, the whole place was great and I highly recommend it to anyone looking for a place to stay that’s right in the middle of the action! This place was great! We wanted a place to stay for a night in Austin with a few friends and this location was perfect. It was only a short walk to 6th street and many other great places. Very clean and comfortable. Ryan was very responsive to our every need when we stayed there! My group was visiting to spend the Thanksgiving holiday there, and Ryan provided us with every item we needed to make our day special. Also, the place looked exactly like it does in the pictures. It was very clean and spacious. (Plus the couch is awesome!) The location is incredible – very close to 6th street. The place is really well located. The apartment is very comfortable and we had a great time! I would definitely recommend this place to friends and family. Ryan was a great host and it our stay went without a hitch. 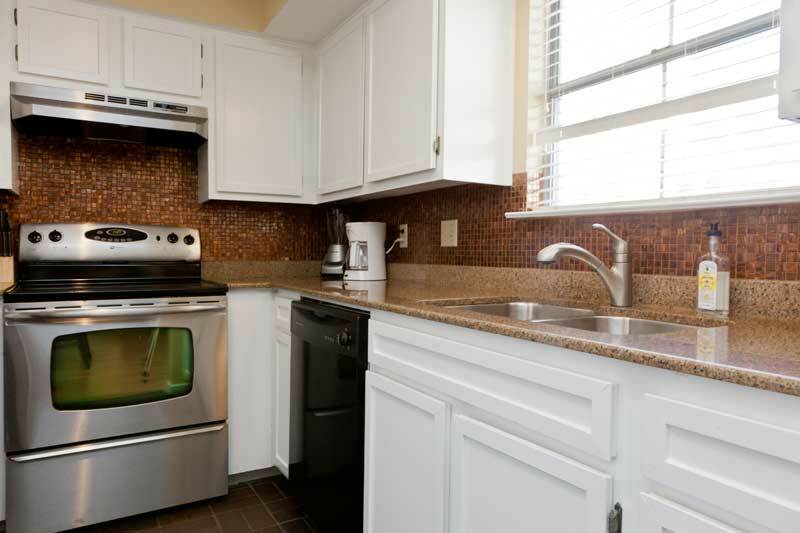 Great space, cool apartment layout and convenient location in the heart of the Austin downtown. Our place was very nice and clean. Great location!! The parking was easy. The air conditioner worked terrific!!! Ryan was a great host and very accommodating to our late arrival. We would definitely stay there again.